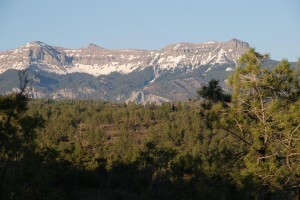 Navajo River Ranch is located 22 miles south of downtown Pagosa Springs at the base of Navajo Peak. These 35-acre tracts are protected by covenants and have their own water system. 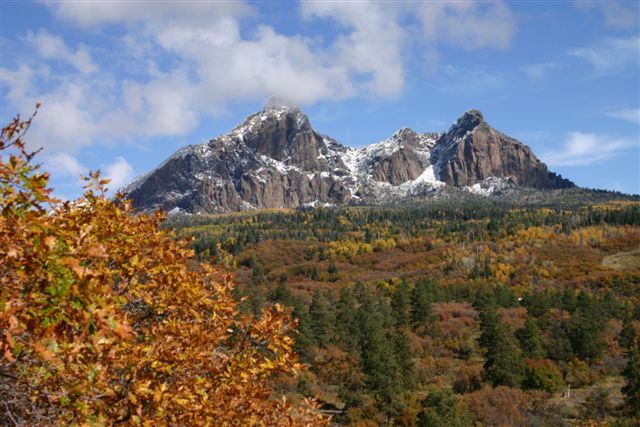 Most parcels have tremendous views of Navajo Peak and the Continental Divide. Located just north of the Colorado/New Mexico state line, Navajo River Ranch offers some of the biggest mountain views available in Pagosa Springs. Property owners in this gated community offers have designated access to the Navajo River and the National Forest. Below are the covenants, topo and plat maps for the subdivision. Please note that covenants and plats may change over time so it is important to obtain the most recent Common Interest Community Documents from the HOA and a survey from a licensed Colorado surveyor before buying a property.